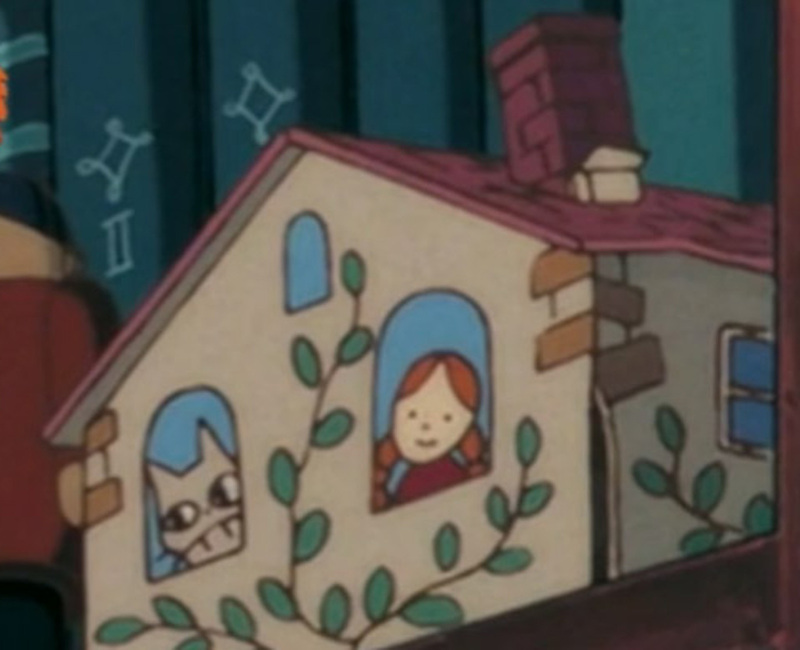 Mei and Chibi Totoro from My Neighbor Totoro appear in a doll house in Kiki’s bedroom. 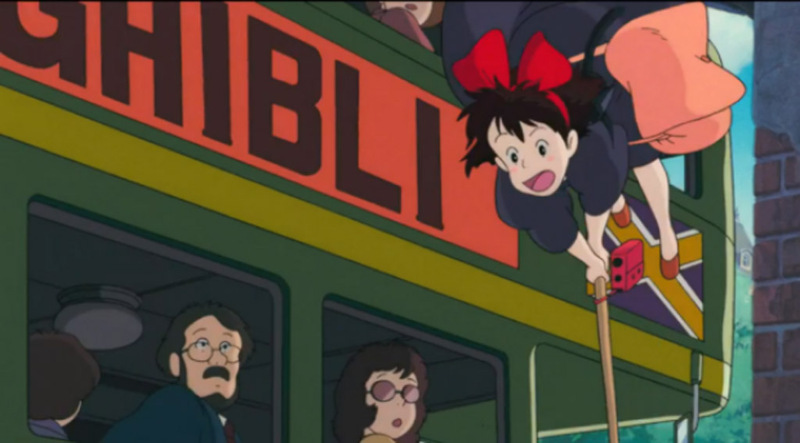 A bus with the words “Studio Ghibli” written on the side of it appears multiple times throughout the movie. 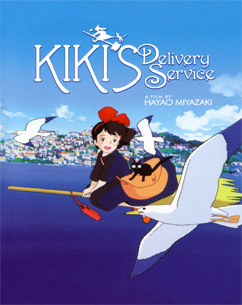 Studio Ghibli being the production studio that created Kiki’s Delivery Service.